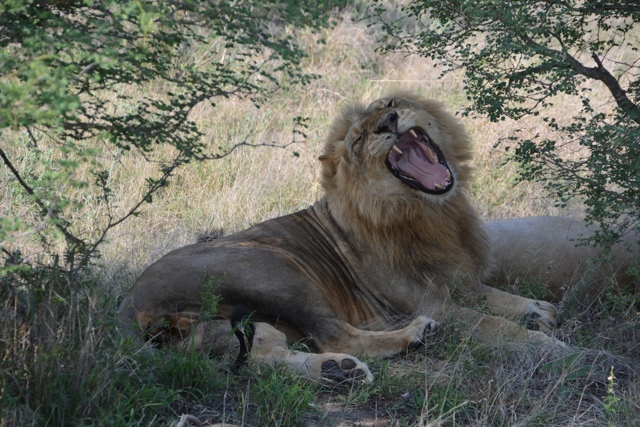 Going on Safari in South Africa is an amazing experience, getting up close to wild, beautiful and dangerous animals from the safety of a safari vehicle. For those looking for a bit more excitement they might even ditch the vehicle and take a walking safari. I wasn’t so sure that I was that person knowing fairly well that there wasn’t any kind of animal that I could out run in the wild. 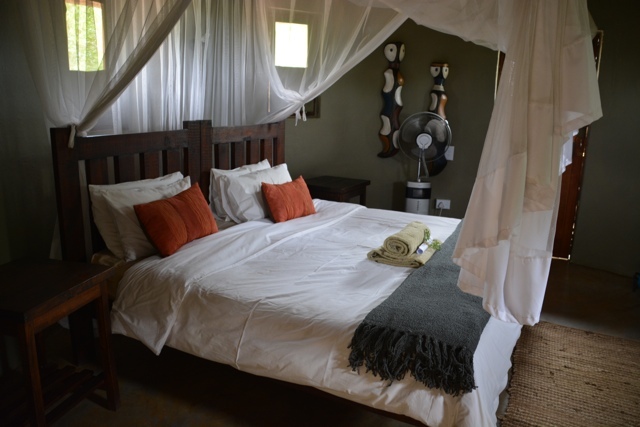 However I then found myself staying at Africa On Foot and walking safaris are their specialty. I did not want to run into this guy while walking around. 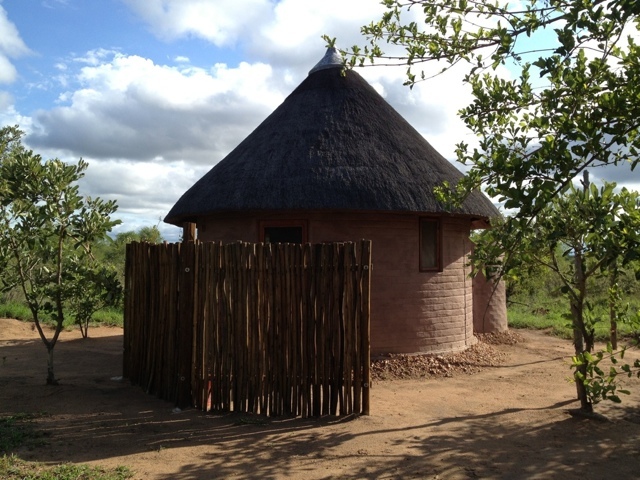 Previous to staying at Africa On Foot I was at their sister lodge, the nThambo Tree Camp just a few minutes away. While at nThambo I had done four driving safaris seeing everything from lions to rhino, crocodile, hippos and more. I knew what dangers were out there close by and at Africa On Foot we were pretty much going on safari in the same area as nThambo. The first morning we were meant to go on our walking safari the wind was too high so the walking safari was canceled and we went by vehicle instead. I quickly learned the reasoning behind this was because 1) The wind is noisy which can mean we won’t hear animals sneaking up on us and they won’t hear us coming meaning we could accidentally stumble upon and startle them. 2) The wind moves our scents and other animals scents around also making it harder to track and it also can blow away some tracks. The next morning however the conditions were ideal for a walking safari. A bit apprehensive I joined the group but made sure I stayed as close to the guides as possible. Before beginning our walk we went over a few basic rules, safety tips, and hand signals that we needed to pay attention to for stopping and crouching and not making noise while we were out in the bush. Our two guides loaded up their guns and we were off on an adventure. 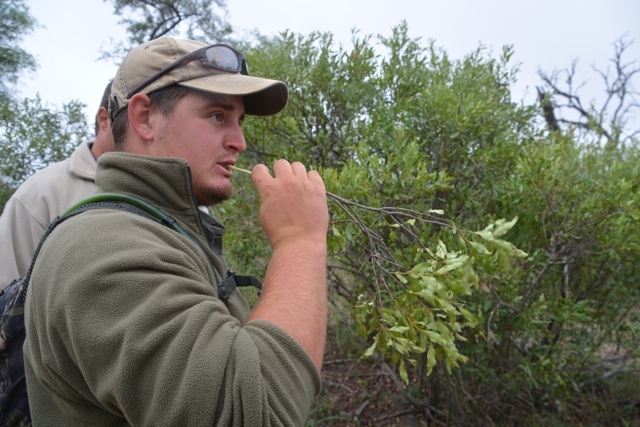 Our guide Darren shows us a type of bush that is good for brushing your teeth. Aside from constantly looking over my shoulder expecting a lion to jump out at me any second it was actually a cool way to do a safari. We got to learn how to track animals, we got up close to foot prints and trees that elephants had scrapped their backs on and mud holes animals had rolled around in. We also learned about the fauna which often gets looked over. The guides taught us which things were edible and which twigs made great makeshift toothbrushes and we looked at a lot of poop. 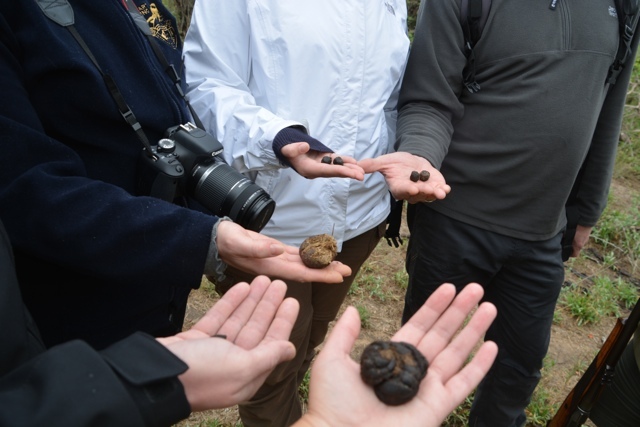 The guides had each of us hold a different type of animal poop (thankfully it was dried up non-smelly stuff that didn’t get all over our hands) and then we played the poop game where we tried to decipher which feces belong to which animal. I failed getting only 1 out of 5 right. But honestly I am ok with that. However it was neat how learning about the different things that animals eat which makes that stuff look different and helps you decide which animal it comes from and essentially helps you figure out which animals are near by so that you can track them. Also I learned that for giraffes being such HUGE animals their poop is sooo tiny!! #FACT. Going on a walking safari was really a cool experience, we actually didn’t get up close to any animals but I am ok with that as well. Anytime I don’t have to run for my life from a lion I am ok with that. Back at the lodge I had my own African rondavel to stay in with a nice bed and bug net and outdoor shower with a view of the game reserve. The accommodations were quite nice and the only alarm clock we had to wake up to in the mooring was a friendly “Good Morning” from the guides to wake us up to go on a safari each day. Its a small property with only room for about 10 people in total to stay at any one time. The staff is friendly and the make fantastic meals. During the day between safaris there is a small pool to lay out by or you can read a book or use the wifi in the lounge or have a drink at the bar. 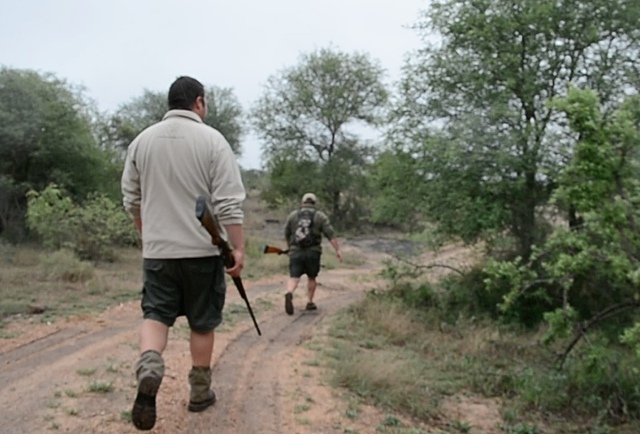 If you are the adventurous type and you are interested in learning how to track animals in the African bush you should definitely stay at Africa On Foot. It is definitely a unique experience. To learn more about my stay watch my video! 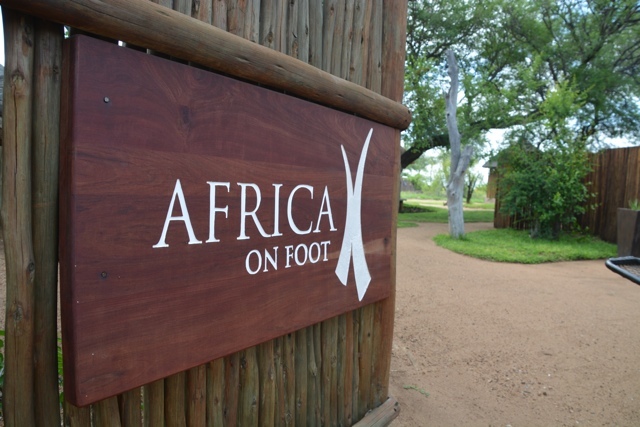 Special thanks to Africa On Foot for hosting me during my stay. As always all experiences, views, and opinions expressed are my own. I’ll be there at the end of June with a few friends. It’s going to be an awesome experience. So excited!!! Looks amazing! My husband and I will be staying there in 3 weeks. Can you talk a little more about the food? I can’t find any info about that online. Thanks and happy travels. Hey Melanie! Let me know what questions you have! Looks like a really unique place to stay Cailin. The idea of doing a walking safari scares me slightly but I’d still love to give it a go one day.